As your trusted roofer in Chicago, we offer asphalt shingles, which are a great fit for this kind of roof. Our product can resist strong winds, which shores the weakness of a gable roof type. Apart from asphalt shingles, we also offer tiles that will match this kind of roof type. These can resist moisture to help deal with the roof’s vulnerability to leaks. Our training and years of experience help us install this material with ease. This will give you more time to focus on other important tasks. This four-sided roof has a double slope on each side that meet to form a low-pitched roof. The lower slope is much sharper than the upper slope and each side can be flat or curved. These roofs are a great option for homeowners who want to expand their space. You can add an attic or a garret for added functionality. As one of your preferred roofing companies in Northwest Indiana, we offer metal that complements Mansard roofs well. These can reflect the sun’s heat and help promote comfort in your home. This will help lessen your reliance on heating and cooling units and lead to more energy savings. When building your home, always remember to pick the best roof material for your roof type. 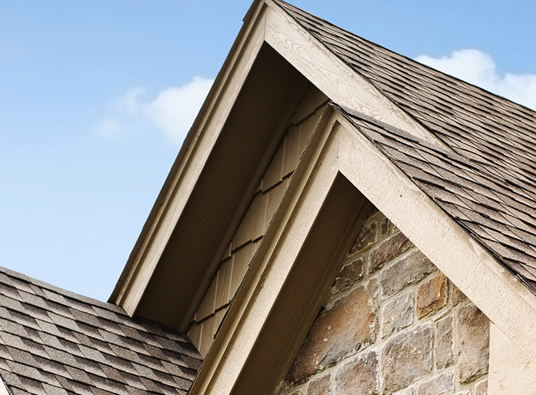 You can depend on Rogers Roofing to provide you with the best roofing options for your home. For more information on our products, contact us at 219 228-8210 (Indiana) or 773 492-2270 (Indiana).